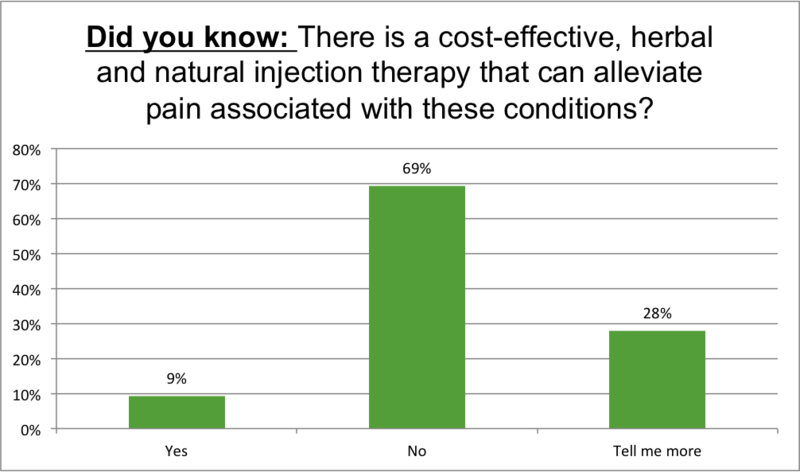 Biopuncture injectable therapy is an effective and inexpensive way to promote the natural regulatory processes in the body that reduces inflammation, enhance the body’s natural immunity, and promotes healing and better health. 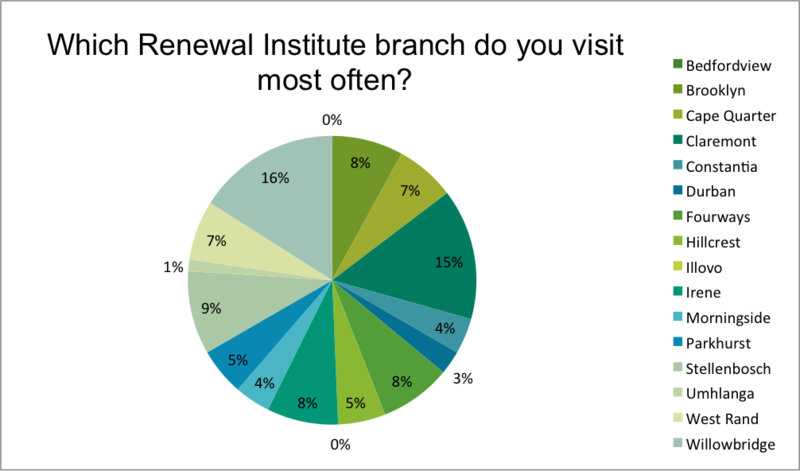 In our March survey we asked patients what they knew about this treatment. 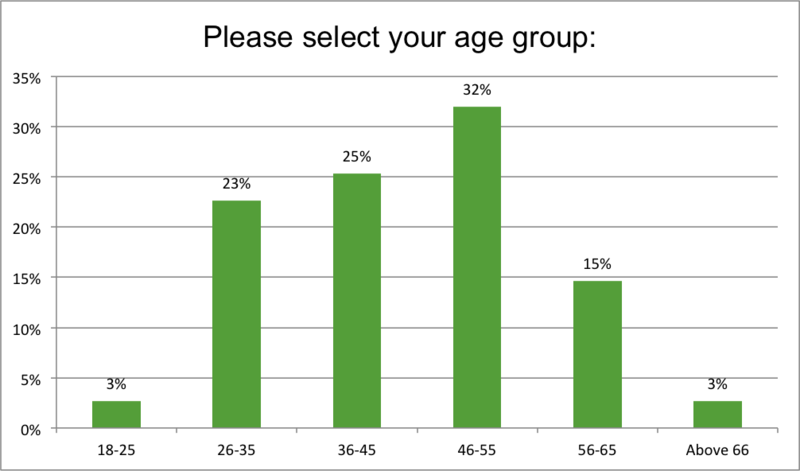 All but one of the respondents were female, with the majority between 26 – 55 years of age. 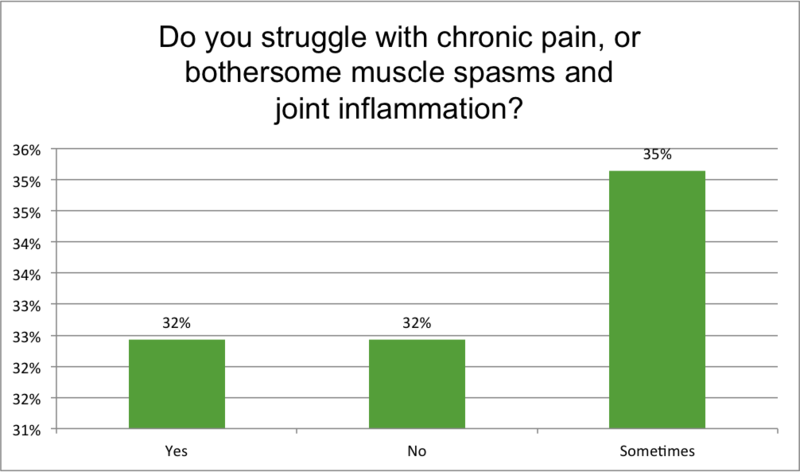 Of these respondents 32% struggle with chronic pain, and 35% experience bothersome muscle spasms and joint inflammation at times. 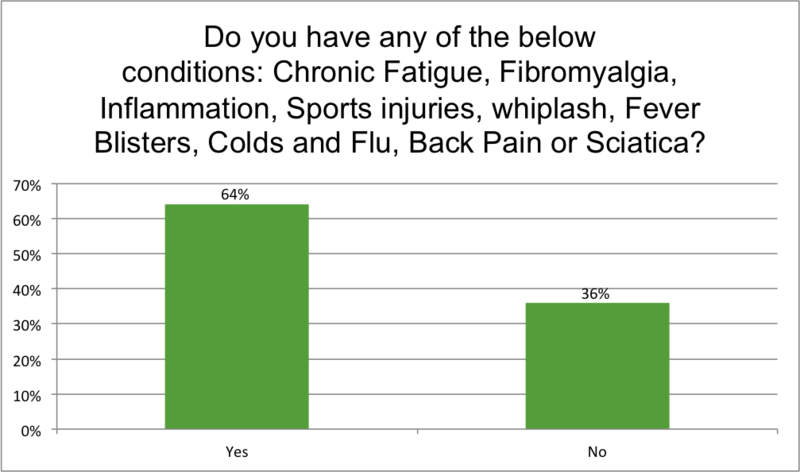 64% of respondents suffer from chronic fatigue, fibromyalgia, inflammation, sports Injuries, whiplash, fever blisters, colds and flu, back pain or sciatica. 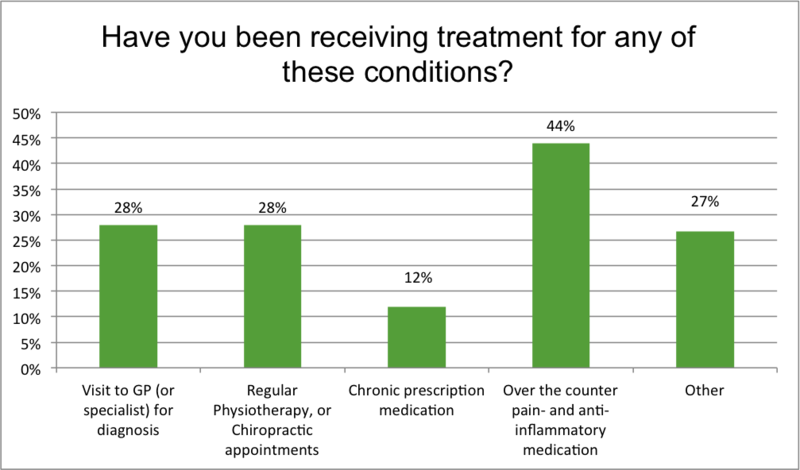 When treating the above conditions the most popular intervention, at 44%, is using over the counter pain- and anti-inflammatory medication. 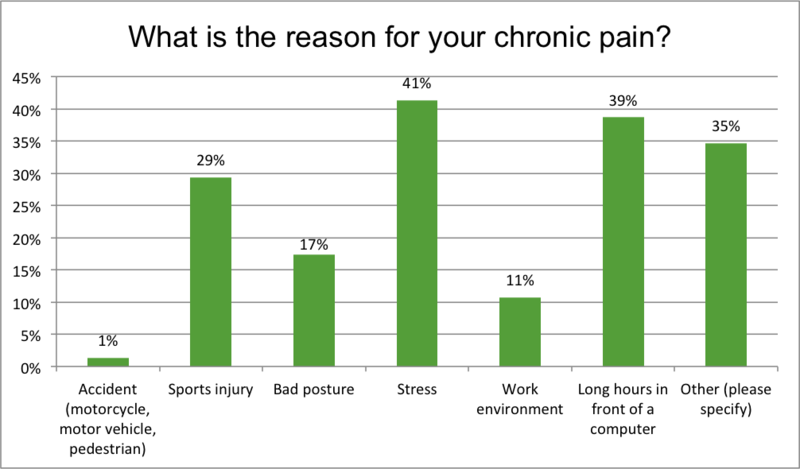 Tied in 2nd and 3rd position, at 28%, is visiting a GP for diagnosis and regular physiotherapy or chiropractic appointments to relieve painful symptoms. 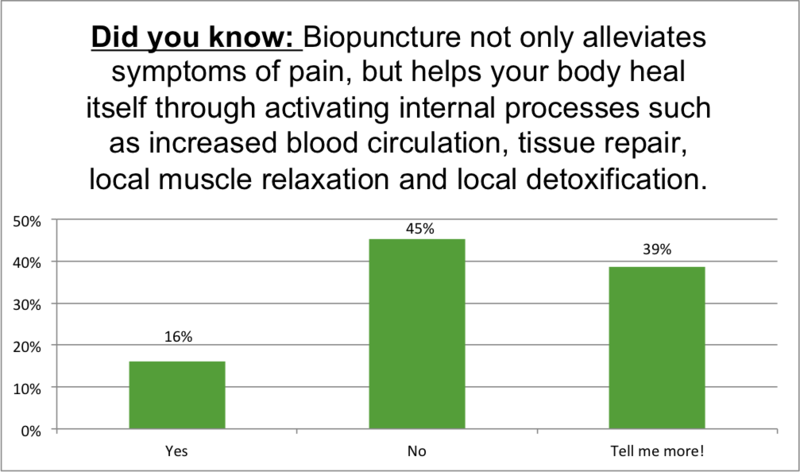 Biopuncture treatments has the ability to help the body heal itself by activating internal processes such as increased blood circulation, tissue repair, local muscle relaxation and local detoxifications. For this reason it is an effective self-healing treatment that once successful only needs maintenance treatments for prolonged effects. 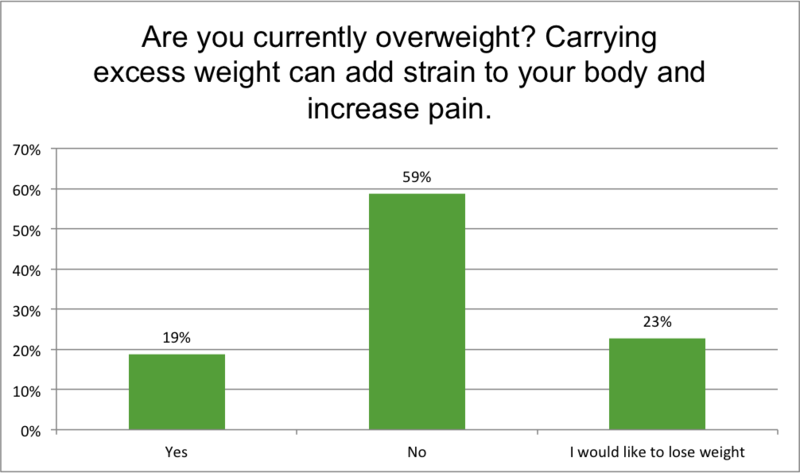 Respondents indicate that physical exercise and stretching is the most helpful when treating pain, followed by core strengthening activities such as yoga and pilates. These are all factors that can be managed and it is important to look out for and manage stress, as this may lead to chronic inflammation, heart and other health concerns. 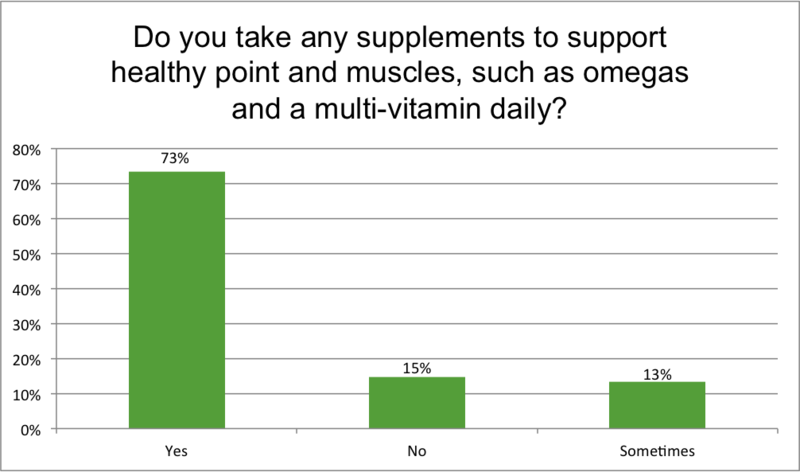 It is good to note that 73% of respondents take oral supplements to support heathy joints. Taking your daily dose of Omega 3&6 in conjunction with a high quality multi-vitamin is a good start to giving your body the support it needs. 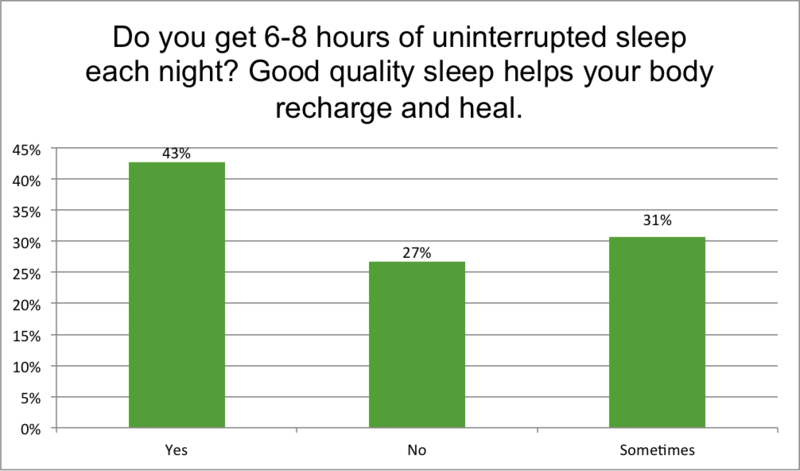 Good quality sleep is also vital to give your body time to rest and recuperate. Ensure you get 6-8 hours of deep and restful sleep. If you tend to snore and wake up not feeling refreshed it may indicate underlying conditions such as UARS or obstructive sleep apnoea (OSA). 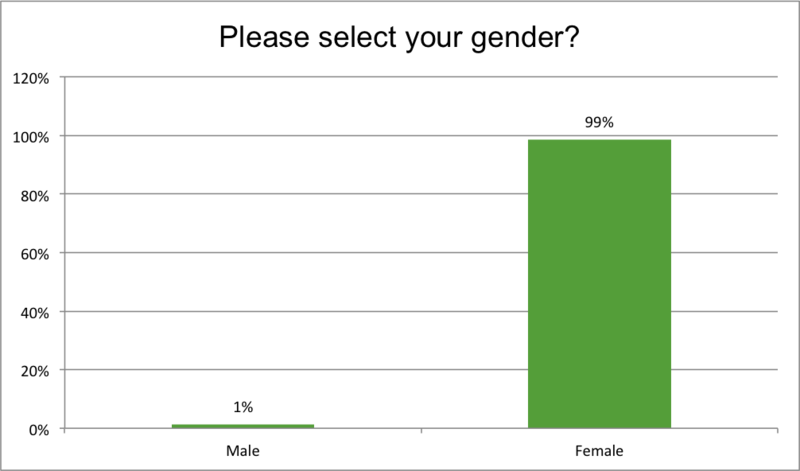 Contact a Sleep Renewal Clinic to find out more! Take care of your body, it’s the only one you’ve got!